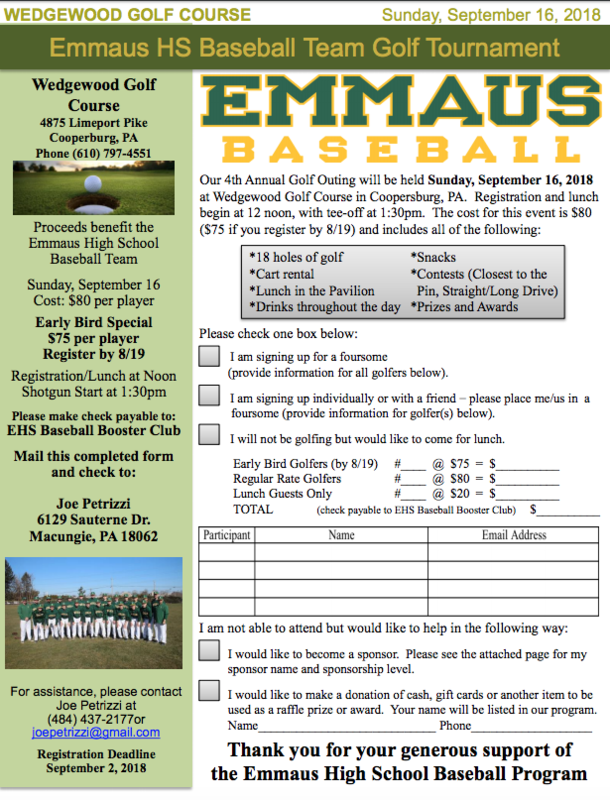 This year we are holding our 3rd Annual Golf Outing to benefit the Emmaus High School Baseball Program. After lunch under the pavilion, we will tee off at Wedgewood Golf Course at 1:30pm on Sunday, September 16. We hope that we can count on your support. 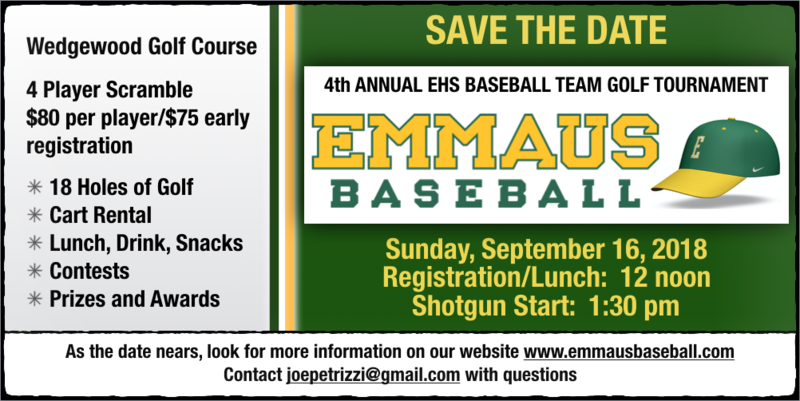 Proceeds from this tournament will directly benefit all Emmaus baseball players, both Varsity and JV. Click on image below to download the registration form.